There’s a German U-boat about 7 miles off Rhode Island’s Block Island, in about 130 feet of water. Bill Palmer, chomping on an unlit cigar, will tell you it’s a time machine. Palmer, a former Army paratrooper and retired youth athletics coach, has made dozens of dives to the wreck of the U-853 and hauled up watches, uniforms, a harmonica, submarine components and even a pistol, now displayed in his basement. As the nation prepares to commemorate Veterans Day, few sailors who fought in the Battle of Point Judith survive to remind us just how close World War II came to U.S. shores. 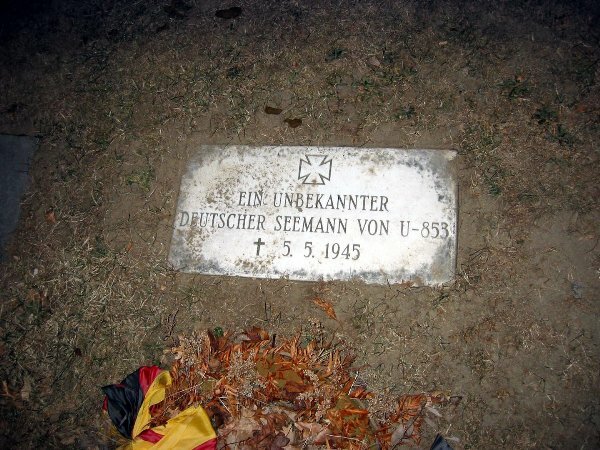 A small service is held each November to remember the 55 German sailors who perished so far from their homes. The submarine, known as U-853, was sunk the day before Nazi Germany surrendered, ending World War II in Europe. German’s naval authorities had already ordered all U-boats to return home, but the young captain of the U-853 either ignored or never received the orders. On May 5, 1945, near Point Judith, R.I., the submarine torpedoed and sank the SS Black Point, carrying coal from New York to Boston. Twelve men died on the Black Point, the last U.S. merchant ship sunk in the Atlantic during the war. A group of Navy ships was nearby, en route to shore leave in Boston. Kenneth Homberger, on board the USS Atherton, planned to jump on a train back to Quincy, Ill., to see his high school sweetheart.